An Irish company has launched what is has described as the world's first child-friendly smartphone. 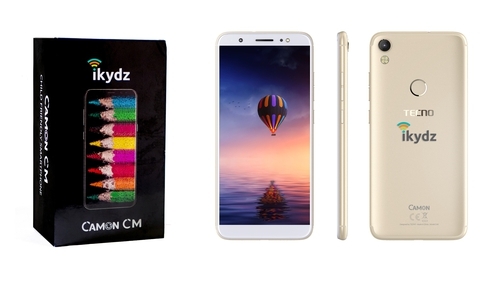 The Zyalin Group in partnership with Transsion Holdings, launched the first iKydz Tecno & Infinix smartphones designed specifically for use by children and teens to keep them safe online, at the Mobile World Congress in Barcelona. The smartphone gives parents control over how and when children use the phone. Through an app on the parent's digital device, it allows them to restrict their child's time online and block unsuitable content. It also allows parents to manage social media apps, where they can block certain apps or allow their child access apps during specific times. The smartphone reports the viewing history and time spent online to the parent's device. Unlike other older technologies, the iKydz Tecno & Infinix Smartphones use iKydz embedded technology to ensure they cannot be compromised by children. The phones will initially be promoted in the Middle East, African and the Asia Pacific market by Zyalin's business partner, Transsion Holdings. The phones will be priced in the region of $70 - $220, making them more affordable than other smartphone brands. The phones can be used use on any network and can be customised to specific operator needs. CEO John Molloy said, "Our kid-safe phones can be used anywhere in the world and controlled by parents or guardians remotely from any location. It's the solution that every concerned parent has been looking for. We're proud to have played our part in keeping kids safer."